On June 28, 2010 Isaac Rottenberg shed his weakened body and entered the mystery of the resurrection. While we mourn his absence, we rejoice that he has been united for eternity with those from whom he was separated in life, and that his spirit will guide us until we meet again. To leave comments or rembrances regarding Isaac and his incredible life please go to www.isaacrottenberg.wordpress.com . Feel free to browse Isaac's many selected writings that he posted below over the past several years. The materials on this site are not copyrighted, but notification in case of reproduction would be appreciated. Please email me here, RevICR@aol.com. Born in London, England, the son of naturalized US citizens, Isaac Rottenberg grew up in the Netherlands. His father was raised in a Hasidic rabbinic family, and his mother in a Dutch Calvinist environment. During the Nazi occupation of Holland (1940-1945), several members of the Rottenberg family were imprisoned because of anti-Nazi activities. Mr. Rottenberg's father died in the concentration camp Mauthausen. He, himself, spent several years in hiding on a farm in the province of Friesland. 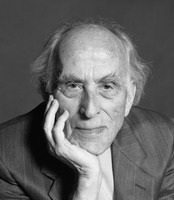 After World War II, Isaac Rottenberg studied law at the University of Leiden; and in 1948 he and his wife Malwina settled in the United States, where he earned a degree in theology at the New Brunswick Theological Seminary. He received a scholarship to study at the Rutgers University School of Journalism and a World Council of Churches grant to do special research at the University of Utrecht under the mentorship of professor Arnold van Ruler. Mr. Rottenberg has had broad experience in ecumenical relations and Christian-Jewish dialogue. A minister of the Reformed Church in America, he has served as local pastor, lecturer in theology, and as his denomination's director of communications. He has participated in ecumenical conferences across the world, and served as the first chairperson of the National Council of Churches Office on Christian-Jewish Relations. As the executive director of the National Christian Leadership Conference for Israel, Mr. Rottenberg was in regular contact with leaders in the mainline churches and the Roman Catholic Church, as well as evangelical communities. He also has had wide personal contact with Jewish organizational leaders and scholars. He was for many years a member of the Christian Scholars Group on Judaism and the Jewish People, and is active in the Hebraic Heritage Christian Center, an Atlanta-based agency devoted to increasing awareness among church members of the Judaic roots of their faith. Rev. Rottenberg has written for numerous magazines, journals and newspapers (Protestant, Catholic and Jewish). His books and translations have been published by Westminster Press, Eerdmans Publishing Company, St. Andrews Press (Edinburgh) and Hebraic Heritage Press. Rottenberg's book reflects the wisdom and insight of a lifetime of dialogue and profound reflection. Anyone interested in this field, whether a newcomer to it or a veteran, whether Catholic, Protestant, Jew or Muslim, will be challenged and enriched by it. If you only have time to read one book in the field this year, this is the one to read. It is destined to be a perennial classic. Rottenberg is a sensitive religious thinker who understands the depth of the relation between the two faiths and the magnitude of the damage done to the both and to humanity when we permit prejudice and the "teaching of contempt" to creep into Christian-Jewish relations. Rottenberg does not hesitate to deal with sensitive issues such as messianic Jews-that many both on the Christian and Jewish sides would prefer to ignore. The longest section of the book, quite properly, is devoted to "Dialogue and Doctrine" because it is on the theological level that the most important issues arise. This book is a valuable contribution to a subject whose importance cannot be exaggerated. Isaac Rottenberg is a distinguished, seasoned veteran of the Christian-Jewish encounter. Accordingly, Christian-Jewish Dialogue is rich in historical awareness and theological depth. To his credit, Rottenberg does not shy away from many of the complex and thorny issues other books in this field tend to ignore. Christian-Jewish Dialogue is a valuable resource for those committed to building sensitively informed and lasting bridges between church and synagogue. I have read through your book. I quite appreciated so much of what you had to say, and particularly in support of the voice of Messianic Jews and support for the state of Israel. I hope we may find occasion to review it, and I would at least like to commend it to our staff to read. Rottenberg is a respected catalyst and role model for dialogue, insight, inclusiveness, reconciliation, and harmonious co-existence, whose presentations add value beyond their stated subject matter. Anyone seeking a single volume to understand the long and complex story of Christian-Jewish relations and its many issues, including the State of Israel, will find Rottebegr's well-written and well-organized book most helpful. The wealth of information will benefit both newcomers and veterans to the field. "Few people have made so distinguished a contribution to understanding the co-responsibility of Christians and Jews for the healing of God's world as Isaac Rottenberg. This book further enhances one's gratitude for his thoughtful witness." "Isaac Rottenberg, pioneer in Jewish-Christian dialog, shows in this important work how such a partnership needs to confront the culture's neo-paganisms, from their puerile New Age forms to more virulent nihilisms. 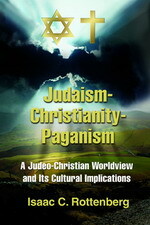 The "Judeo-Christian Worldview" so positioned for this encounter is one described here, remarkably and too rarely, as able to affirm the commonality-a vision of the sovereign God of historical revelation who wills shalom for soul and society-while, at the same time, honoring the significant differences between Judaism and Christianity. For the author, this means witness to the centrality of cross and resurrection without denigrating Torah or denying the Jewish roots of Christian faith. May such honest co-working win the day in both dialog and cultural encounter." "I am a life-long learner on the important questions of relating Christian faith to Jewish traditions, and I can think of no one who has taught me more on these matters than Isaac Rottenberg. Now once again I have benefited as his student in this wonderfully engaging and illuminating book!" "Isaac C. Rottenberg has written another book that contributes to a much needed recovery of the Hebraic roots of the Christian faith, and also reliably shows what Jews and Christians traditionally share in common and at what points there is a parting of the ways." "Isaac Rottenberg has long been an advocate of, and participant in, Jewish-Christian dialogue. In this book he argues that this dialogue can only be of benefit if neither Christianity nor Judaism is watered down, if the real differences between them are not papered over, and if there is genuine willingness to be corrected in one's understanding of the other. With admirable candor he says what he thinks about various proposals that do water-down and paper-over. Along the way he also argues that to recover its own integrity and vitality, Christianity needs a "strong dose" of the earthiness and holistic this-worldliness of the Judaic tradition -- and that together they must oppose not only secularism but new forms of Paganism. Altogether a very bracing book, displaying throughout an unusually acute and bold theological mind at work. " Senior Fellow, Institute for Advanced Studies in Culture, University of Virginia. "One of the joys of reading Isaac Rottenberg is not only his sharp intellect and wide-ranging theological knowledge, but the passion with which he discusses theological issues. He is no armchair theologian, but writes out of his unique Dutch-Jewish-Christian background experience under Nazism during World War II. Here we have not only a clarion call to Christians to remember their Jewish heritage-a familiar theme for Isaac-but also a penetrating analysis of the pagan elements in our culture. Read and enjoy-and be disturbed! Powered by Site OnCall | © 2004-2016 Visionary Services, Inc.